Pay attention, theorists: it looks like Skyward Sword‘s going to be much more closely related to Ocarina of Time than any of us thought. 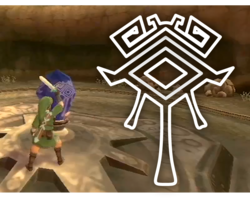 Forum user Corvoskk caught sight of an all-too-familiar symbol at a surprising moment in the Skyward Sword trailer: that’s right, it’s the eye of the Sheikah. Now, admittedly, it’s not exactly as it appeared in Ocarina and takes on a much more angular, diamond-shaped appearance this time around, but it’s clearly a modified version of the Eye of the Sheikah. Besides, we know that Ghirahim’s hallmark involves diamond-shaped particles akin to the black squares of the Twili from Twilight Princess. We’ve speculated before on Ghirahim possibly being a member of the dark tribe that tried to take over the Sacred Realm in Twilight Princess, and more recently we’ve examined the possibility that the Sheikah might be connected to that tribe. Could this be a clue implicating a relationship between all three of these shadow races? 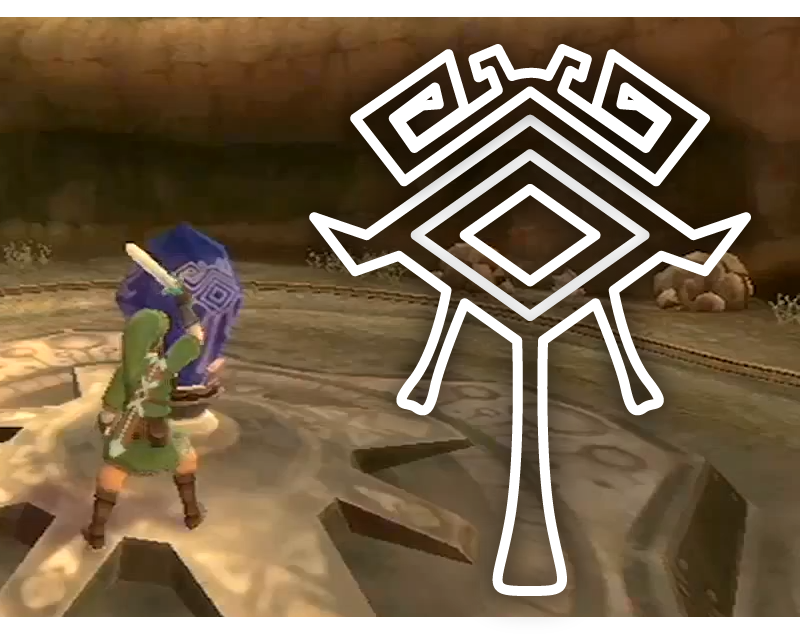 My first impression actually evoked a small detail from Ocarina of Time and Majora’s Mask – the emblems of their respective villains, the Gerudo and Majora’s Mask symbols, respectively, appeared on the various blocks and switches we found throughout the game. In the Sky Temple we saw switches that, when activated, split up into several diamond-shaped gens, exactly like Ghirahim’s calling card. Here we’re seeing something very similar – the Sheikah eye adorns the crystal switch. Bearing that in mind, I think that we may just be seeing that old pattern continue, and the Sheikah eye probably has something to do with this game’s villain(s). Of course, we also know that Ghirahim isn’t working alone, which suggests that he’s part of a larger group – perhaps even an entire clan. 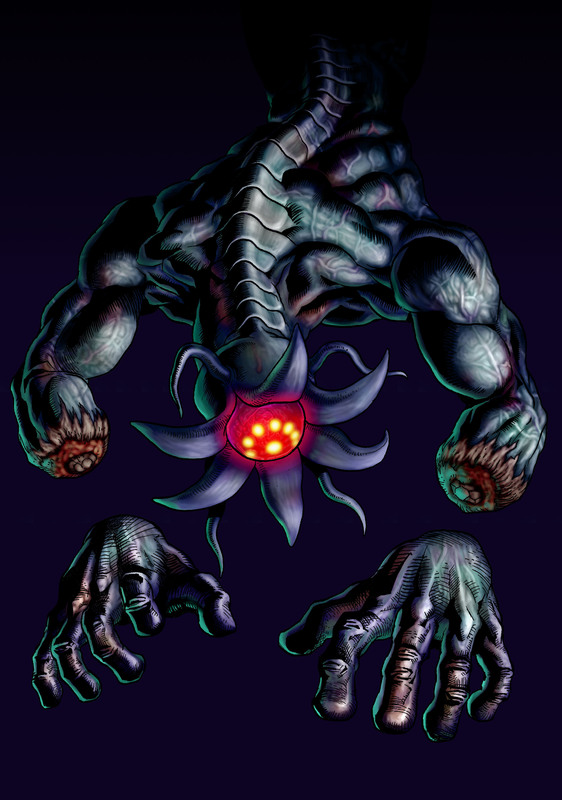 While he doesn’t exactly share the typical red-eyed depiction common among the only true Sheikah we’ve seen so far, I think that it’s definitely within the realm of possibility for there to be a connection. After all, his appearance certainly comes at the right time in Hyrule’s history.